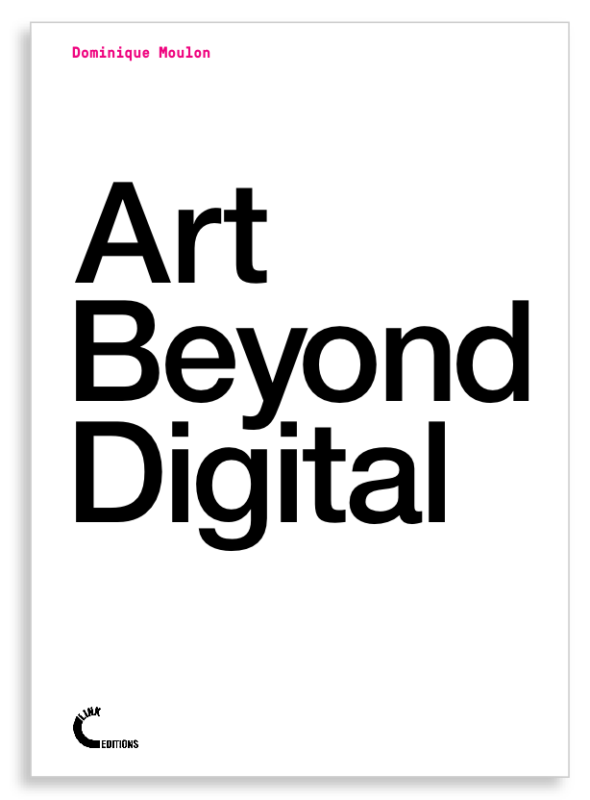 The Link Art Center is proud to announce that the book Art Beyond Digital, by French art critic and curator Dominique Moulon, is now available on our bookshelves: to buy as a print on demand paperback or downloadable for free in digital form. The English translation of L’art au-delà du digital (Nouvelles éditions Scala, 2018), the book offers a rich overview of recent artistic practices mostly developed with digital means, but also going “beyond digital”. Digital technology has interfered in all the spheres, private, public and professional, of our society and shaped them. Artists have always used the techniques or technologies of their time to express themselves. To each appropriated innovation thus corresponds a range of works. Yet, it takes time for the art world to integrate new practices and new media. Impatient, the most fervent advocates of digital art have structured themselves into international communities by organizing dedicated events. Their practices have now matured and the public is culturally ready to welcome their creations as it already does in festivals. At the same time, we notice the first signs of digital acceptance in art, both in institutions and in the contemporary art market. The purpose of this book is to study the works of current practices without focusing on their shared use of digital technology; to analyze them in the context of their presentation by assembling them so that together they create a dialogue. Objective: to demonstrate that digital technology is a medium of contemporary art, but that it is important to consider specificities. Dominique Moulon is an art critic and independent curator. Holder of a PhD in Arts and Sciences of Art of the University Paris 1 Pantheon-Sorbonne, he is a member of the International Association of Art Critics (AICA) and the International Association of Curators of Contemporary Art (IKT).